Candice Glover talks about how she'd react to bad criticism and what she calls "poison," what she'd love to get done on her debut album, and whether she ever found out voting results. 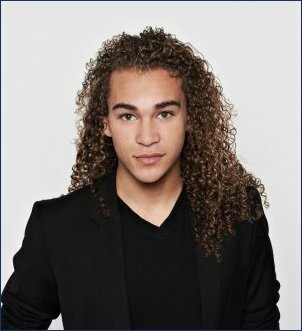 Deandre Brackensick was ousted from American Idol during Thursday night's live results show broadcast on Fox, determining the eleventh season's Top 7 finalists. American Idol eliminated Deandre Brackensick during Thursday night's live results show broadcast on Fox, determining the eleventh season's Top 7 finalists. Brackensick, a 17-year-old from San Jose, CA, became the sixth finalist sent home from American Idol's eleventh season after he received the fewest home viewer votes following Wednesday night's performance show, which featured the Top 8 finalists singing songs from the 1980s. American Idol's judges proclaimed the eleventh-season competition too close to call during Wednesday night's performance show, which featured the Top 8 finalists taking the stage and singing songs from the 1980s. American Idol ousted Heejun Han during Thursday night's live results show broadcast on Fox, determining the eleventh season's Top 8 finalists. American Idol became American Ovation during Wednesday night's live performance show, which featured the competition's Top 9 eleventh-season finalists taking the stage and singing songs previously performed by their personal musical idols. Erika Van Pelt was eliminated from American Idol during Thursday night's live results show broadcast on Fox, determining the eleventh season's Top 9 finalists. American Idol's Top 10 eleventh-season finalists took to the stage and sang Billy Joel songs during Wednesday night's live performance show. American Idol eliminated Shannon Magrane and revealed "The Judges' Save" will return for its eleventh-season finals during Thursday night's live results show broadcast on Fox, which determined the season's Top 10 finalists. American Idol eliminated Jeremy Rosado and determined its Top 12 eleventh-season finalists during Thursday night's live results show broadcast on Fox.